Dr. Theresa Dempsey, Au.D., is a New York State Licensed Audiologist. She has practiced audiology in clinical settings for 10 years and is particularly interested in aural rehabilitation and counseling of the hearing impaired and their families. Dr. Dempsey has extensive experience in diagnostic testing of pediatric, adult, geriatric and difficult to test populations. She specializes in dispensing and counseling patients in the use of advanced digital hearing aid technology, balance testing and electrophysiological testing. 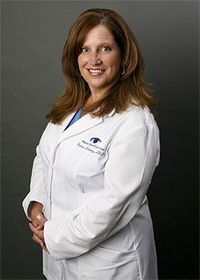 Dr. Dempsey's credentials include: Bachelor's degree in Communication Studies from St. Joseph's College, Master's degree in Audiology from Hofstra University, Doctoral degree in Audiology from Salus University. Dr. Dempsey belongs to many professional organizations including: the American Speech and Hearing Association (ASHA), and the American Academy of Audiology (AAA) and holds professional certifications and licenses, including; ASHA Certificate of Clinical Competence in Audiology, a New York State Audiology license and a New York State Hearing aid Dispensing License.